The Standards Organisation of Nigeria (SON) and the European Union (EU) have begun an initiative to establish a code of practice for Nigerian Agricultural products for exportation. The information is contained in a statement jointly signed by Mrs Chinyere Egwuonwu, Deputy Director, Standards Directorate, SON, and Mrs Irina Kireeva of EU. 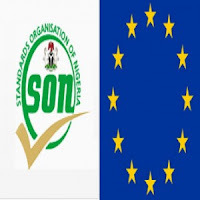 The statement said that as part of efforts to achieve the goal, the organisations had concluded plans for a final national training on standards on code of practices for the products. The training will focus on products, such as cocoa, beans, Shea butter and melon, the statement said. It added that the event would unveil the result of training facilitated by the organisations focusing on exports on key agricultural commodities. The statement noted that the workshop would equip participants with the technicalities of the export market with regard to the issues of development of standards and the engagement of private sector. It said the workshop was critical for transforming agriculture in Nigeria and would help participants understand that Africa could feed itself through agriculture and export. The statement said the training would lead to adopting modernised and commercial agriculture which was the key to transforming the country’s economy. The Apapa Area Command of the Nigeria Customs Service (NCS) yesterday said it impounded 23 container-load of prohibited export-bound timber at the Apapa port. The Area Controller of the command, Comptroller Willy Egbudin announced this at a forum organised by the command for timber exporters in Lagos. Egbudin said the containers were impounded because they loaded raw timber, pointing out that the law demanded that all timber meant for export must either be processed or semi-processed. He said that some arrests had been made, adding that the suspects would be prosecuted. ``We made these seizures because the timber are raw and so fall into the categories of wood or timber that the government has prohibited for export. ``The law demands that any timber meant for export must either be processed or semi-processed; by that some value would have been added to it. ``Some of those behind the illegality have been arrested and I tell you, they would be prosecuted,’’ Egbudin said. 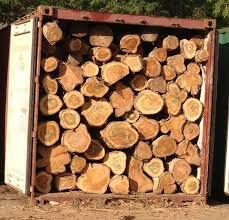 The controller said there were efforts to encourage exportation of timber to earn foreign exchange. He, however, urged timber exporters not to undermine government’s good intention by circumventing the law. Egbudin advised the exporters to comply with all procedures and laws regarding exportation of timber in their own interest, as well as the country. 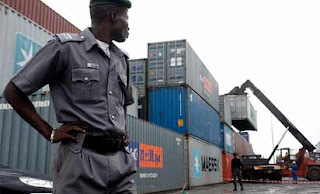 ``The Apapa command will continue to do all it could to facilitate export trade. ``The command will also continue to enlighten exporters to ensure that they do their business right. ``We will continue to engage exporters and listen to them to ensure that there is understanding,’’ he added. A timber exporter; Mr Joseph Odiase thanked the command for the forum, but urged it to simplify the process of documentation for export. Odiase said they were having difficulty in getting their documents processed, noting that this was a disincentive to them. 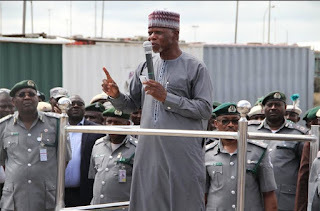 The Nigeria Customs Service (NCS) has warned exporters and importers of prohibited items to desist from doing so, warning that the long arm of the law will soon catch up with perpetrators. 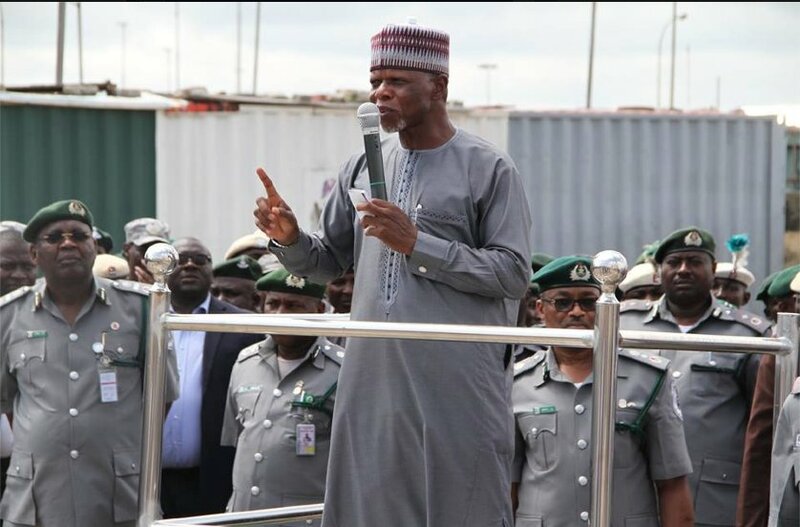 The Customs Area Controller (CAC), NCS, Tin Can Island Port (TCIP), Apapa, Command, Comptroller Yusuf Bashar issued the warning in Lagos while addressing stakeholders. The federal government periodically compiles list of items that cannot be exported or imported into the country. The items which are reviewed annually are in two categories, namely the Import Prohibition List (IPL) and the Export Prohibition List (EPL). Their review is based on the federal government fiscal policies as contained in its annual budget and is enforced by the Customs High Command. The enforcement of the IPL and EPL is in line with the statutory functions of NCS, namely revenue generation, trade facilitation and anti-smuggling. However, speaking at a stakeholder forum, Bashar warned that only semi-treated and fully processed wood products will be allowed through its command as export, even as he added that anything short of what the law permits, will be confiscated. The stakeholders meeting was meant to sensitize the trading public particularly exporters on the need to ensure that only exportable wood products are brought in to the port. The CAC also said that the command had to bring in officials of the Federal Environment Protection Agency (FEPA) to assist NCS in explaining and showing to exporters difference between treated and untreated wood products. He explained that exports do not attract any duty even as he pointed out that in the light of falling oil price, the government is trying to encourage Nigerians to export as much as they can with a view to repatriating foreign currencies back home. His words: “It is an incentive to encourage export because it is assumed that money will come to government based on exportable products from Nigeria most especially now that Nigeria is having issue with crude oil. Price per barrel is going down. It is our major foreign exchange earner so Nigerians must be encouraged to export as much lawful products as possible. “At a point, we asked ourselves how we can encourage exports from our end. We thought that the best way to do that was to sensitize the people and tell what exports are allowed by law. We took wood products as the first item amongst exportable products because it attracts a lot of attention. The need for the campaign became imperative due to the seeming confusion emanating from the export of wood products as almost every container with wood export despite the status, is considered contraband by the uninformed”. According to the CAC, we met exporters of wood products, freight forwarders of wood exporters, our own Customs personnel and any interested members of the public and let them know the categories of wood that are lawfully exportable. He explained that other government agencies that approved such exports were also invited to tell exporters what is called processed and semi- processed woods. The Customs chief argued that the more there is communication, the higher the compliance level, just as he declared: “unprocessed wood is banned from export”. To ensure that the trading public knows the difference in the categories of wood for export, samples of processed, semi processed and unprocessed wood products were shown to exporters. Bashar warned that he would not want to see unprocessed wood products in his command, even as he explained that he will ensure that the four policy thrust of NCS management will be implemented to the letter. According to him, NCS must facilitate trade as much as possible so as to make the ports attractive. Ignorance of the law by port users has been the most challenging task I face since my assumption of duty as the new CAC. ONLY semi-treated and fully processed wood products will be allowed through Tin-Can Command for export, the Customs Area Comptroller, Yusuf Bashar has said. Speaking with stakeholders in Lagos, Bashar explained that it had to sensitize the trading public particularly exporters on the need to ensure that only exportable wood products are brought in to the port, noting that anything short of what the law permits, will be confiscated. A statement quoted Bashar as saying the command had to bring in officials of the Federal Environment Protection Agency, (FEPA) to assist the Customs in explaining and showing to exporters difference between treated and untreated wood products. He explained that exports do not attract any duty, adding that in the light of falling oil price, the government is trying to encourage Nigerians to export as much as they can with a view to repatriating foreign currencies back home. Explaining further, he said: “It is an incentive to encourage export because it is assumed that money will come to government based on exportable products from Nigeria most especially now that Nigeria is having issue with crude oil”. He added: “Price per barrel is going down, it is our major foreign exchange earner. So, Nigerians must be encouraged to export as much lawful products as possible. “At a point, we asked ourselves how we can encourage exports from our end, we thought that the best way to do that was to sensitize the people and tell what exports are allowed by law. “We took wood products as the first item amongst exportable products because it attracts a lot of attention. “The need for the campaign became imperative due to the seeming confusion emanating from the export of wood products as almost every container with wood export despite the status, is considered contraband by the uniformed. According to Bashar, other government agencies that approved such exports were also invited to tell exporters what is called processed and semi processed woods.